What Is The Definition Of Vane In Archery? 1. This is a type of fletching on an arrow made from plastic. 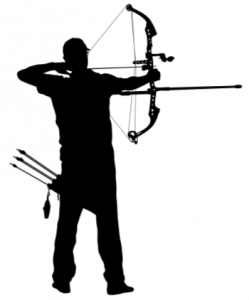 Vanes are designed to help stabilize the flight of the arrow and add spin on its path. Compared to feathers (the other type of fletching most commonly used), vanes are weather-proof, quieter and more affordable, making them a popular choice among some outdoor archers and hunters. 1. It looks like the vane on the arrow is starting to come off a bit during flight, causing the arrow to fly in a strange direction.